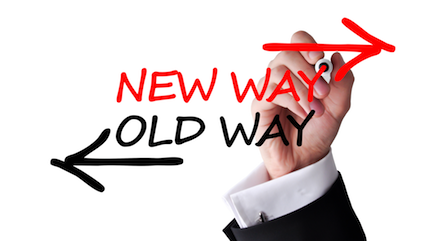 Initiating, managing and implementing change is one of the hardest challenges for any leader. How do you get people to accept a new idea as valuable and worthy of their attention? What can leaders do to help their organizations embrace change? These are the questions leaders in the arts, government and corporations gathered to discuss this fall at the Harry L. Davis Center for Leadership at the University of Chicago Booth School of Business. The panel discussion, entitled “Leading Change,” was moderated by Hal Weitzman, executive director of intellectual capital at Chicago Booth. The event was part of the Center’s Perspectives in Leadership Series. Fred Hochberg, former chairman and president of U.S. Export-Import Bank and a Pritzker fellow at the University of Chicago’s Institute of Politics. Hochberg streamlined transaction processes and brought a customer focus to the federal agency that provides credit assistance to exporters, reforms that allowed the agency to thwart political pressure to shut it down. Jenny McColloch, director, sustainability strategy, engagement and business integration at McDonald’s Corp. McColloch and her colleagues have worked to bring global sustainable food sourcing to the world’s largest restaurant chain, starting with changes in the beef industry. Ashley Wheater, artistic director of the Joffrey Ballet. Last year, Wheater unveiled a dramatic restaging of the “The Nutcracker,” a Christmas tradition in Chicago that, until then, had remained the same for 30 years. The panelists discussed how they approached big, fundamental changes in their own organizations and shared practical advice on how to overcome the inherent challenges of leading change. Find the right pace: You have to figure out how to introduce change at a rate of speed that your organization can handle. If you move too slowly, you lose momentum. If you go too fast, you lose everybody. Identify some early wins: You need some early wins because that builds momentum. Start with a small pilot program. If it goes well, celebrate those smaller changes before embarking on larger ones. Adjust course as you go: Lay out your vision, then get out of the way and allow your teams to move forward. You can adjust course as you go. Avoid the pitfall of letting your perfect concept of the vision get in the way of making progress. You need a lot of patience, but not too much: You need to have enough endurance and staying power that people realize you aren’t going to go away and that the request for change isn’t going to go away. You also need some urgency. There is nothing like an external threat to get everybody focused and motivated to change. Whether it’s the prospect of losing funding or the challenge of losing customers to a competitor, an outside threat can create that sense of urgency. Demonstrate your authenticity: Be an authentic leader and show that you truly care about an organization and that you want the institution to flourish. Frequently the people most resistant to change are those workers who have been at the institution a long time and really are committed to the organization. You can win over many skeptics if you can convince them that you too really care about the organization, and that you are m making changes not for your own personal gain, but so that the organization can prosper. Find ambassadors: Rather than taking a top-down approach, identify people within your organization who are willing to try something new, and then figure out how to position those ambassadors where they can influence their peers. Finding these first-mover leaders will help build a movement towards change. Repetition, repetition, repetition: You have to repeat your vision for change over and over again. You have to repeat it in every speech you make, in every tweet you tweet. The leaders in your organization need to be talking about it every day. Become comfortable with the uncomfortable: It takes a lot of passion, persistence and patience to bring about change. While change is exciting, it is not a popularity contest.